Grado Labs has built very fine headphones and phono cartridges since 1953. 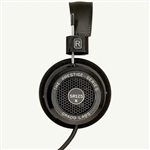 Built in Brooklyn, NY, the full line of Grado headphones and phono cartridges are hand crafted products. Their range goes from the introductory Grado SR60e dynamic headphone and Black2 phono cartidge all the way up into Audiophiledom with the Professional Series PS2000 headphone and Lineage Epoch MI (MM) Phono Cartridge. There is an excellent Grado headphone or phono cartridge to fit anyones budget. Great stuff from Brooklyn available here at TTVJAudio! The Grado Statement Sonata got us back into vinyl many years ago and we have not looked back!!! 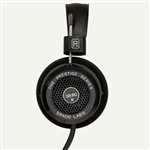 As one of the oldest brands in the audio tech industry, Grado Labs is a brand that highly values tradition and heritage. With over 60 years of industry experience, Grado has evolved into a company that specializes in the craft of beautiful artisan headphones and cartridges that produce exceptional sound quality. 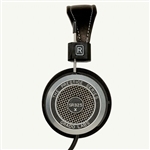 Here at TTVJ, you will find a wide variety of Grado products, including Grado headphones, Grado wireless headphones, Grado cartridges, replacement headphone pads, adapters and everything else you may need to truly enhance your music experience. Proudly family-owned, Grado Labs continues to preserve its pristine reputation through dedication to excellence in their products. And you would expect no less from a family-operated brand that understands the importance of preserving a good reputation for the family name. What began as a small family-owned shop in Brooklyn in 1953, is now a reputable product praised by large magazines such as Wired. 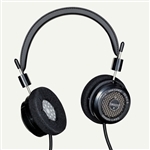 Grado Labs headphones provide you with a state-of-the-art music listening experience that will blow you away. Browse through our vast selection to find your new favorite pair of headphones.